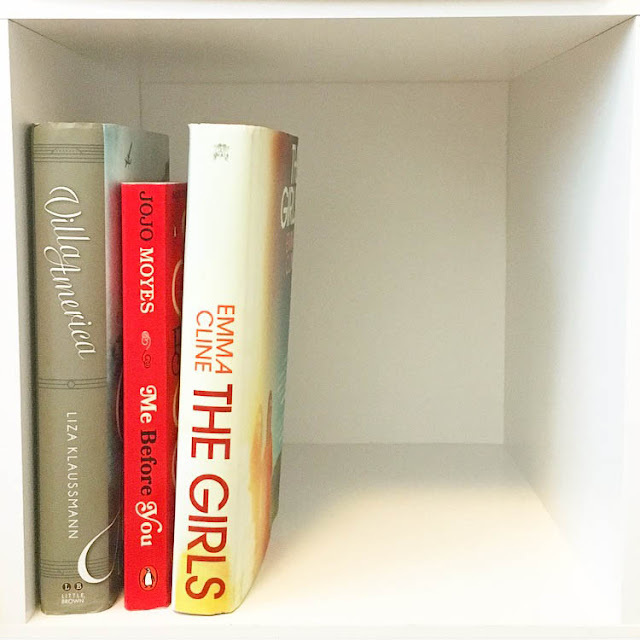 Before I left for my trip to Europe in June, I wrote down a few titles that I wanted to pick up in London, and The Girls was at the top of my list! I follow quite a few booktubers and their channels were all abuzz about this novel. As I often find, the UK cover was much more my taste than the US version, so I took advantage of Independent Bookshop Week and stuffed this copy into my suitcase while I was across the pond. If you’re going to splurge on a hardcover, then it better be the version that you love! Yes, that means I brought a book back across the Atlantic whose plot takes place in Sonoma County – a mere 25 minutes from where I live. I loved reading a book about places that I know so well. The Girls is a beautifully written, almost poetic novel that follows a 14-year-old girl, Evie, in the late ‘60s as she wanders into the fringe of a local cult. We first meet Evie in the present day, as an older woman living alone in a borrowed beach house on the Pacific Coastline, but the majority of the book follows her flashbacks to a time of adolescent confusion and discovery. At first, Evie seems like a run-of-the-mill young teen with divorced parents she can’t connect to, a friend that she spends most of her time with, and a crush with the reality of getting shipped off to boarding school at the end of the summer. This book delves into the human condition, painting a more accurate portrait of a girl who desperately wants to be accepted than any book I’ve ever read before. I think it’s brilliant that Emma Cline chose a young teen as her narrator, because it’s a time in life when you lose the freedom of not caring and the unbounded originality of a child, and enter into the world of adulthood. It’s human nature to want to be noticed and wanted and to feel as if you belong, and Emma Cline lets every character in her novel show these traits. Of course, this need is displayed most in the young women of the cult, like Evie, who blindly follow their leader, Russel, a man of questionable integrity. Like most cult leaders, he knows how to find peoples’ weaknesses and uses those flaws to make his followers feel connected and wanted. Whether it’s the mystical Suzanne (Evie’s role model and near obsession), the rapidly aging Evie, Evie’s desparate-for-love mother, or her father who searches for love in younger women, everyone is completely wrapped up in finding someone to love them – or at least want them. This story follows Evie’s journey on the outskirts of the group, and the trials of being alone as an aging adult. I never got the feeling that she fully let herself fall into the chaos of the cult, but that made her a wonderful narrator, and allowed her to show how fully the other members gave themselves over to the group – so much so that Russell convinces them to commit a horrendous crime, an event that haunts Evie through her entire life. I really enjoyed this book, but readers beware: if you’re looking for a fluff piece to read by the pool, this isn’t your book. It’s dark and dirty. You see the cult life just as it would have been, and not through rose-colored glasses. The women are subjected to sexual acts, lots of drugs, and endless harmful mental manipulations. There are #triggerwarnings galore in this novel, so don’t pick it up lightly. However, if you’re ready to give it a chance, I definitely recommend it. After finishing this book, I’ve been hyperaware of times now and in the past that I’ve put myself under a microscope to get attention from others. I’ve gone through a filing cabinet worth of times in my head that I wanted to be accepted into a group or just noticed in a room full of people, times that I’ve reeled back after not saying the right thing or sat obsessing over what was said and how it could have been better. We all do it, but this book made me really think about how far wanting acceptance can make you go.